We keep your money safe and secure. Our top priority is protecting our members – that starts with keeping your information and money secure. Deposits are insured up to $250,000 through our partner, The Bancorp Bank, Member FDIC. 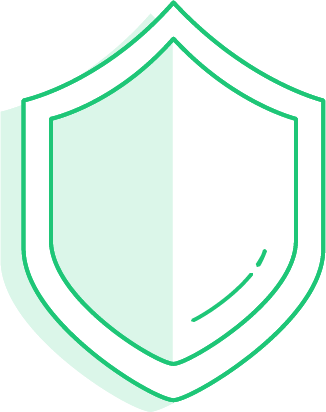 We use 128-bit AES encryption, access control, and secure processes to ensure your money is always safe with Chime. If your card is missing or you suspect unauthorized use, you can block all transactions on your Chime debit card. Open the Chime app and disable transactions to immediately prevent new debit card purchases or ATM withdrawals. Real-time alerts keep you in the know. 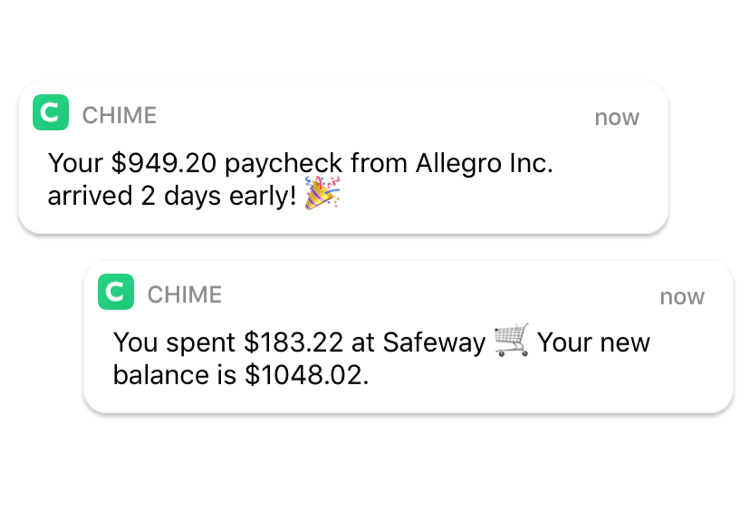 Chime sends you instant transaction alerts anytime you use your Chime debit card. You’ll always know what’s happening with your money. Your money is always protected. Deposits are insured up to $250,000 through our partner, The Bancorp Bank; Member FDIC. Shop worry-free at millions of merchants. Chime debit cards are protected by the Visa Zero Liability** Policy to ensure that cardholders will not be responsible for unauthorized charges. We require two-factor authentication and support fingerprint authentication. ** You must notify your financial institution immediately of any unauthorized use. For specific restrictions, limitations and other details, please consult your issuer.